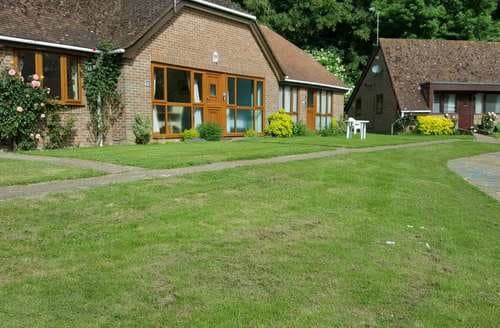 What our customers are saying about our Holiday Cottages In Polegate To Rent. "It was only when we paid the final balance for the accommodation we were told by Sykes that we had to contact the owner for access details to the cottage and that the owner lived in Spain. We sent an "E" Mail to the owner approx. 5 weeks prior to our arrival requesting the required details for entering the cottage. After 2 weeks passed we still hadn't heard anything from the owner we contacted Sykes office. Sykes office staff eventually agreed to try and help and 2 days later the phoned me to give me the owners cleaners details and the access code for the cottage. We then received an "E" Mail from the owner 3 weeks after we sent one to him and the details we got were different from the details we received from the Sykes office 2 days prior. I returned the owners "E" Mail explaining our travel arrangements and that we were traveling 540miles through the night and would probably arrive at the cottage in the early hours of the morning and could he confirm the details he gave were correct. The owner never responded to confirm his details were correct. As we were now unsure as to us having the correct details we delayed our travel arrangements until we got a family friend who lived in the area to go to the cottage to confirm which if any of the access codes would work. Our friend did confirm that the details from the owner were correct and the details that Sykes office from the cleaner were wrong. On our arrival we gained access to the cottage and the damp smell just hits you (strong) you can open the windows and leave the door open and it is bearable but as it is a cottage for security if you leave to go out for the day we would close everything up and wen you come back the smell just hits you again. We had booked the cottage for a week even as we arrived later than expected we also decided to cut our holiday short and left on the Thursday. We have been back home now for a few days and we still never got a reply from the owner that we sent to him. If the owner is running the cottage for business only then its a really poor effort. This was a really poor choice on my behalf for accommodation for a family holiday. I should have read the other review that mentioned about the smell. No we wont be back." "The bungalow was ideally located for us (myself and my two young children), as we wanted somewhere close to Drusilla's Zoo. There were unfortunately lots of disappointing things about the bungalow. The kitchen was poorly equipped for a family wanting to cook three proper family meals a day (only one tiny ancient frying pan, no baking trays (for cooking oven chips etc), no sharp knives, no cooking pots for the oven, etc). The chests of drawers and bedside tables were falling apart. Light bulbs not working in all of the lights. No bedside reading lamps. The shower in the bathroom didn't work (broken mixer tap) so could only run the (tiny) bath. No extractor fan in the bathroom. The worst thing was the terrible damp and mould problem in the bungalow (not so bad in the lounge or main bedroom, but was unbearable in the twin bedroom, bathroom and kitchen), there were mould patches on the walls and ceilings in every room (I can supply photos if required). Turned out the on-site swimming pool is only open for a couple of hours in the morning and a couple of hours in the afternoon, everyday. I had a look in a couple of the other bungalows on site while we were there and they all were really nice, however this one (number 22) was awful." "We have just returned from a most wonderful Spring holiday at S44673. Lovely daffodils and primroses all around the cottage. 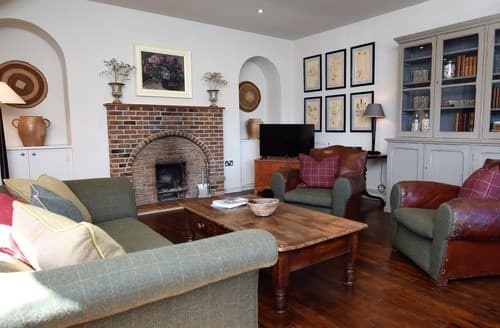 It is one of the cleanest, well appointed cottages that we have ever been to. The decor in all the rooms is lovely and the kitchen contained all the items that you would ever need. 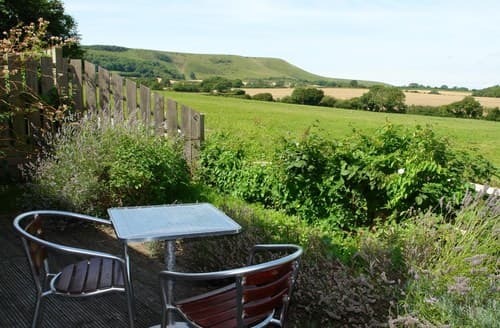 It is situated in a marvellous spot so close to the big seaside towns of Hastings, Bexhill and Eastbourne and it is also close to very pretty villages such as Alfriston. 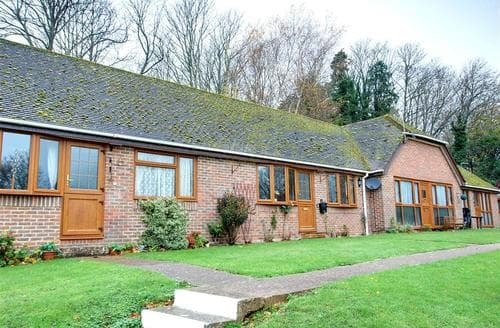 Local towns and amenities are nearby, Hailsham and Polegate. There are also some smashing places to eat very nearby. I cannot rate S44673 highly enough - more than excellent. In fact we liked it so much we have already booked another week in September and hope to come again next year. 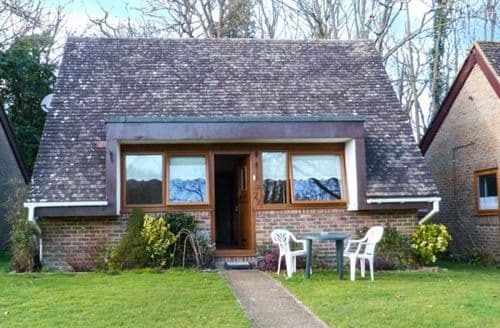 It would be a lovely cottage to go to at any time of the year." "Lovely daffodils and primroses all around the cottage. It is one of the cleanest, well appointed cottages that we have ever been to. The decor in all the rooms is lovely and the kitchen contained all the items that you would ever need. 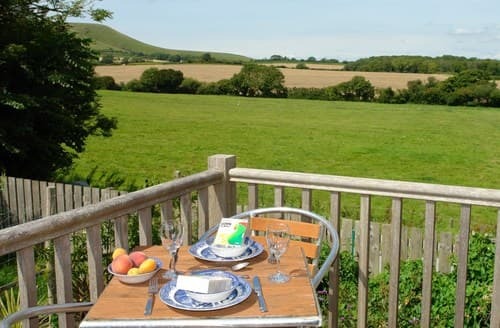 It is situated in a marvellous spot so close to the big seaside towns of Hastings, Bexhill and Eastbourne and it is also close to very pretty villages such as Alfriston. Local towns and amenities are nearby, Hailsham and Polegate. There are also some smashing places to eat very nearby. I cannot rate S44673 highly enough - more than excellent. In fact we liked it so much we have already booked another week in September and hope to come again next year. It would be a lovely cottage to go to at any time of the year." "While the cottage was very comfortable and well equipped, and we LOVED the setting and the access to public walking paths in the area - and the nearby farm shop and coffee shop - we were troubled by the rather musty smell emanating from the damp/mildew in some areas of the cottage... most noticeable in the sink area of the kitchen. My husband, who has asthma and COPD feels it might have exacerbated his breathing challenges, although by leaving windows open while we were 'home' and turning up the heat we were able to mitigate some of the effects. Otherwise, all was very satisfactory, and we would certainly hope to book at Glyndley Manor Cottages again on our next visit to Sussex."